I have always had a sense of wanderlust; the lure of travel to exotic places, an unending yearning to explore, experience, and photograph the natural beauty that exists throughout the world. As a photojournalist, my life journey has included documenting the Galapagos, a safari in Kenya, various destinations in Europe, and even one month on a ranch in Wyoming, complete with herding cattle. Alaska has always been on my bucket list, but living in Florida I’ve become a weather wimp. Anything below 70 degrees, and I turn on the heat. However, Alaska was calling to me, and my friend Doreen and I decided that summertime would be a great time for us to live out our dream. 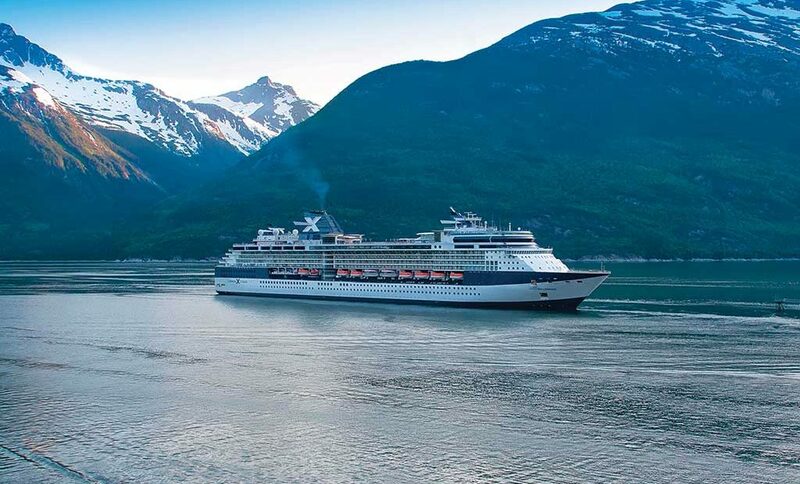 The best way to see Alaska, we discovered after much research, was to book a cruise that included the inside passage followed by a land portion. Celebrity Cruises (www.celebritycruises.com) offered wonderful options for us, and we booked a seven-night Northern Glacier Cruise aboard the Millennium, followed by a four-day land tour. Booking through Galaxy Travel & Cruises (www.galatrav.com) was the way to go as they are very familiar with the ships, amenities, and excursions. Share Your Take on Global LGBTQ Travel Safety, And Maybe Win $100!